If you don't like spending too much time on your outfits, go for a silver sweater dress. When it comes to footwear, this look pairs nicely with Badgley Mischka vail embellished kitten heel pump. If you're on the lookout for a casual yet stylish outfit, wear a black fringe blazer with a black slit leather pencil skirt. Both pieces are totally comfy and will look fabulous paired together. 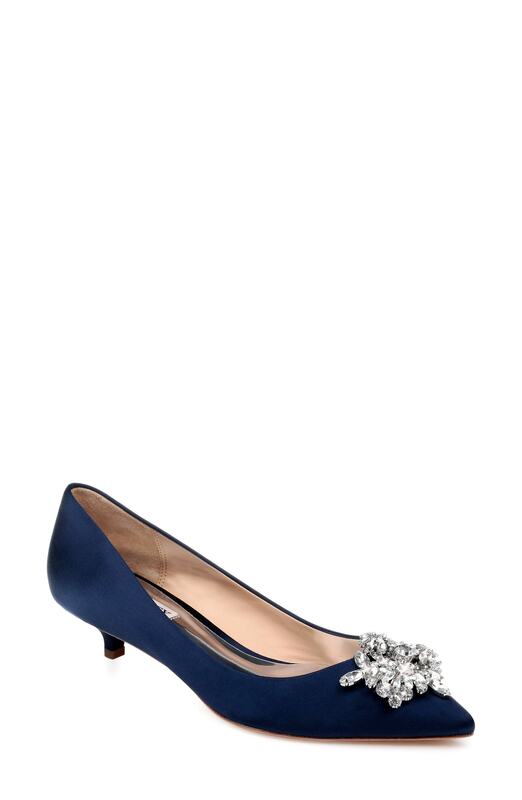 Up the cool of your look by wearing Badgley Mischka vail embellished kitten heel pump.